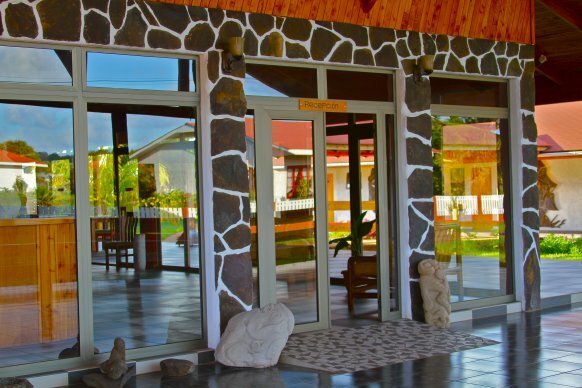 The hotel Puku Vai offers all the comforts that a visitor could wish to have a pleasant time in a familiar, hospitable, tranquility and harmony ambience, where one can feel the culture, music, archaeology, history and art of Rapa Nui. Situated in the Avenue Hotu Matua, its only a 15 min. 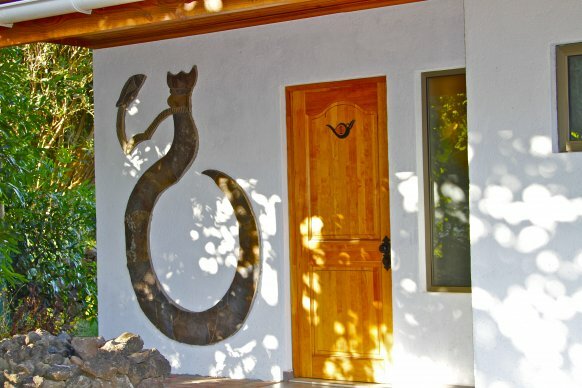 walking distance to the town center of Hanga Roa and about 6 min to the airport Mataveri. The outdoor swimming pool in shape of Tahonga, which is a Rapa Nui sign for fertility and prosperity, is the ideal place to refresh and relax surrounded by a beautiful tropical garden that connects with the nature of the island. Hospitality, professionalism and personal assistance on high standard are our compromises to make your stay an unforgettable one. Our philosophy is to make sure that every visitor feels like the most important to us. 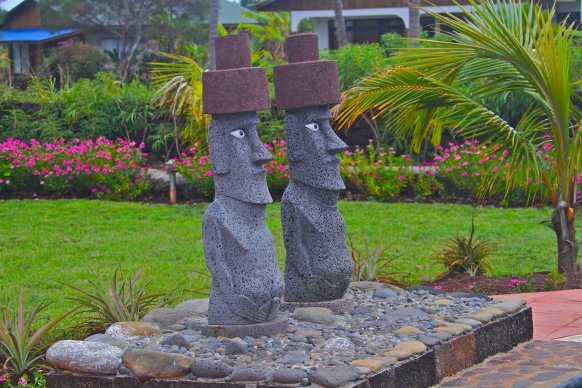 The hotel counts 13 rooms with a modern spacious ambience, natural wooden ceilings and Rapa Nui artwork and lots of natural light. Enjoy a oasis of tranquility en our Single, Matrimonial, Twin or Triples rooms. Rate includes: Buffet breakfast and welcome drink. Todo, desde la atención de su administrador y dueño, y por toda las persomas que atienden ahí. Me sentí como en casa , siempre dispuesto a ayudarte . La atención de la habitación excelente, como su desayuno, siempre variado. La gente de la Isla es muy cariñosa, muy atenta con uno, a no ser que tuve muy buena experiencia por haberme topado con personas con un muy buen corazón, gracias a todos esas personas que hicieron mi estadia y la de mi familia muy grata ahi. En especial de su administrador (que me reservare su nombre , como a su novia). Espero que me recuerden como también lo haremos nosotros y esperamos volver muy pronto. Saludos desde Arica- Santiago. Gloria, Michelle y Javier.